An epic historical fantasy film with spectacular sets and dramatic scenes of war is enthralling India. 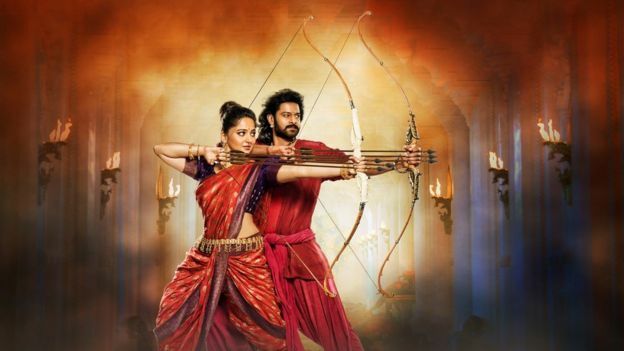 Widely touted as India’s answer to Game of Thrones, the success of Bahubali 2 has also prompted south Indian film fans to troll Bollywood, writes Sudha G Tilak. There are thrilling royal hunts, roaring elephants, strapping heroes and dazzling heroines, complete with the Indian staple of song and dance. Set in the fictional kingdom of Mahismati, Bahubali 2 has two swashbuckling cousins in a dynastic war over the kingdom. Expensive special effects and high value production costs have turned the drama into a visual spectacle unseen in Indian films. The difference is this is a Telugu language film from the south. It has been released in many other languages and made more than $10m (£7.74m) in the US over the weekend, prompting Forbes magazine to call its success a “Holy crap! moment for the weekend”. Indian film distributors claim that it has made 5bn rupees (£60m; $66m), which would make it one of India’s most successful movies ever. For many Indians the north and south of the country are almost two different countries and “never the twain shall meet”. There has been a long-standing view that films from other parts of the country are not given their due simply because they do not belong to the glitz and glamour of Bollywood, which is based in the financial capital Mumbai. The triumphant reaction of south Indian film fans is something to behold as they mock Bollywood over the success of the epic. This has also translated into an almost militant defence of the film. Saying you don’t like it has become the film version of treachery. Critics who panned the film for misogyny, casteism, violence and overtly Hindu references have been brutally trolled. 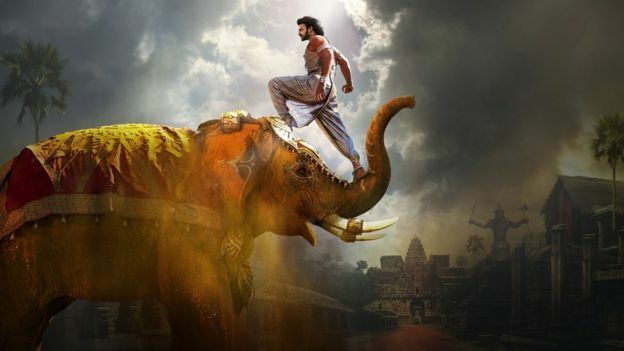 For fans in the region, Bahubali is more than a film. It has brought regional pride, resistance to Hindi as a language and loyalty to its language to the fore. The hero, Prabhas, who plays King Bahubali in the film has become a sensation, with people “swooning” over his looks. Fans in the southern states of Telangana and Andhra Pradesh erected mammoth cut-outs of him outside cinemas. Some went to the extent of pouring milk over the image in an oblation ritual reserved for idol worship in Hindu temples. And savvy business owners are seeing an opportunity in all the madness. Cinema halls have been festooned with his posters and cut-outs. 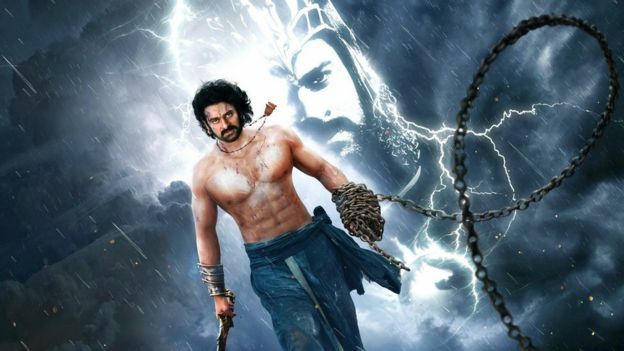 Gyms are offering a Bahubali workout regime that promise the fabulous abs of the leading male actors, whose famous hand-to-hand combat in the thunderous climax had them baring their torsos. And many female fans have been spotted at cinemas dressed in Bahubali saris with prints of the hero and heroine. In truth, this is a mania that has swept all of India, north and south alike, but for the southern Indian fans who feel their film industry has played a subordinate role to Bollywood for so long, this is a big moment.